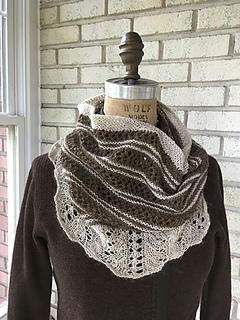 This frothy cowl in two sizes (S/L) is pure delight when knit with a super-soft luxury blend yarn, for optimal drape and hand. 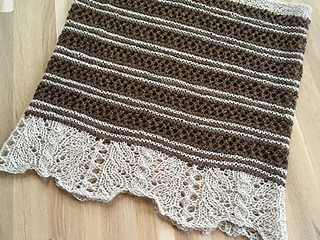 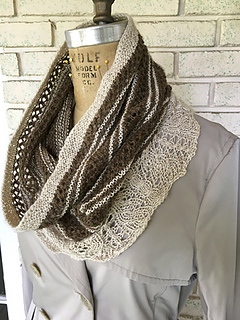 Starting at the hem with a frothy cable and lace pattern and working upward through the body in garter stitch and mesh, the piece lends itself easily to resizing in width or depth as yarn supply allows. 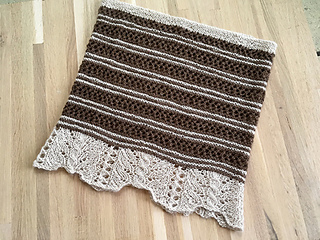 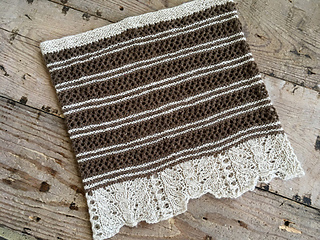 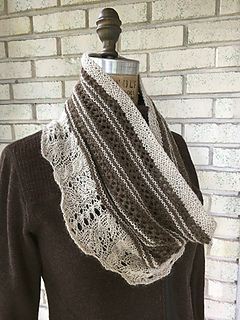 Shown in a two-color arrangement, the knitter could easily add a third shade or opt to work in a solid color throughout—the design lends itself nicely to gradient colorways as well. 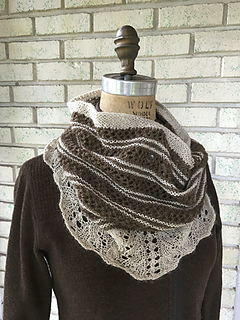 Sample shown is size small, knit in a special run of Salt River Mills Suri Decadence.